When it comes to problems with the skin, acne is one of the most common types. Millions of people around the world deal with it on a daily basis, some worse than others. And not all acne is the same. It comes in a variety of conditions that include acne on the face and body, and acne during pregnancy. Among these types is cystic acne. Although not the most common, it is the most difficult to manage and treat, and can be a nuisance and sometimes painful. 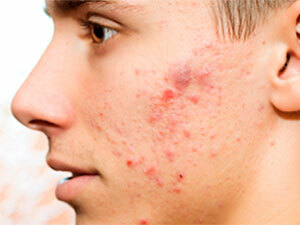 Acne is a widespread grouping of pimples, and can appear anywhere on the body. When oil and dead skin cells get into one of the pores in your skin, it gets clogged up, causing bacteria to reproduce and form a red, swelling bump on the surface called a pimple. Cystic acne is a little different. For a more in-depth look at what causes cystic acne, read this. Hormones: Teenagers naturally have hormones that are increasing and changing rapidly. These changes can make it easier for excess oil and skin to clog pores. It also makes it a little more difficult to clear cystic acne. Pregnancy: Just like teens, pregnant women have a higher chance of getting cystic acne. Hormones that come with pregnancy alter your normal skin behavior, making it more likely that you’ll develop pimples. Poor skin care regimen: It makes sense that if you’re diligent about proper cleansing of your skin, you’re less likely to have clogged-up pores. When you ignore this, the likelihood of getting pimples increase dramatically, along with chances of cystic acne. Cystic acne is more common in men than women. What distinguishes cystic acne from the other types is how deep it goes. People who suffer from it have pores that don’t just get clogged, they get clogged down deep into the skin’s lower layers. A cyst then forms, which is a large, swollen collection of pus and other debris. It’s not just a surface problem. The issue with cystic acne is how far down into the skin it is. It’s hard to get to from the surface, and it’s difficult for medications and standard forms of treatment to go down that far. The cyst can grow as time goes on, creating a larger, redder bump on the surface. When you find it on your face. Although cystic acne can occur anywhere on the body, it is very often found on the face. It can be especially unsettling for people to have it affect the face, as you can’t cover it up with clothing like you can with body acne. Don’t pick or scratch: It’s very important that you don’t try and pick apart your cystic acne. Many people think that if they can create an opening at the surface, they can squeeze everything out of the pimple. But that’s not how it works. 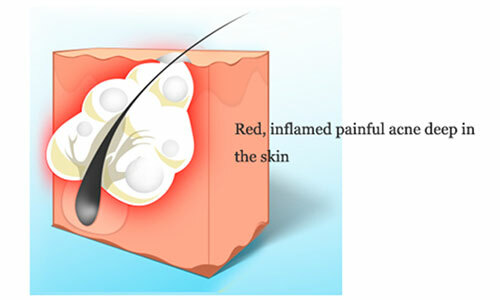 In cystic acne, the pus-filled cyst is so deep you simply can’t just squeeze it out like you can with regular pimples. Picking and scratching will only lead to scars and further irritation, and can actually spread the cysts, causing even more of the acne. There is a whole world of information on how to get rid of cystic acne. To find out more about it, go here. One thing you might be afraid of when it comes to cystic acne is scars. It’s not uncommon for people who suffer from this type of acne to have deep scars left behind, which some call “pockmarks,” and which can be troubling, especially when it involves the face. If you avoid picking and scratching, you can greatly minimize the chance of getting these scars. Consult a doctor: If standard methods of treatment aren’t working for you, it’s a good idea to see a physician. There are prescription creams and medications out there created specifically for cystic acne that can fix the problem much easier than over-the-counter solutions. Doctors can also give you the best advice not only in regards to handling your cystic acne, but also on how to prevent more of it. The best kind of physician to consult is a licensed Dermatologist, however, a family practice physician may be able to help as well. Your skin isn’t meant to house large, pus-filled cysts. When these form deep in the skin, each cyst puts pressure on the surrounding tissue, pushing up and outward and causing pain. Sometimes it’s just mild to moderate discomfort, and sometimes it’s so painful that intervention is required. If you find yourself with painful cystic acne, there are ways you can ease the irritation. Scratching cystic acne will only slow down healing. Pain relievers such as Ibuprofen or Tylenol. 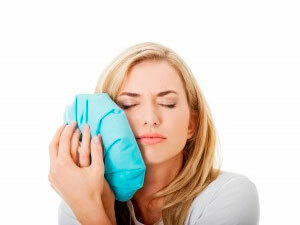 Ice packs, which will numb the pain and help to decrease inflammation. Natural remedies like essential oils, that help with inflammation. 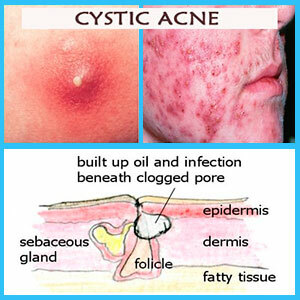 For more details on how you can treat cystic acne through home remedies, click here. Just like a cut or scratch in your skin, cystic acne can become infected. The bacteria that invade the clogged pore can multiply out of control until it spreads to the surrounding tissue. It causes more swelling than normal, an increase in pain, and further redness. Although very rare, there’s a chance that an infected cyst can get out of control to the point of becoming dangerous. Along with the regular signs of infection, if you’re also experiencing high fever and redness that’s quickly spreading, get to a doctor right away. If you think your cystic acne has become infected to the point of needing treatment, consult your physician right away. 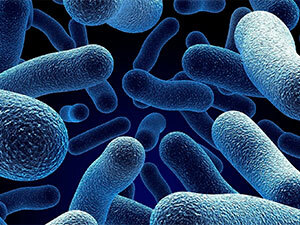 Antibiotics in the form of pills or a cream can be prescribed to help kill the bacteria multiplying out of control. If you’re wondering about cystic acne treatments available to you, go here for tips and useful information. If you’ve got cystic acne, don’t worry, there are options to help you. By diagnosing, treating, and then managing the problem, you can be on your way to clearing it up for good.